The U.S. National Institutes of Health (NIH), one of the largest biomedical research agencies in the world, announced the expansion of the beta program for the All of Us research program . What Is All of Us? As part of the Precision Medicine Initiative (PMI), All of Us aims to create a platform for one million volunteers from across the U.S. to contribute their health data, with the goal of helping scientists develop new ways of preventing and treating disease . The program is currently in its beta testing phase, but is set to launch in Spring 2018 . Remind Me, What Is Precision Medicine? Precision medicine seeks to provide every individual with personalized prevention strategies and treatments that account for their “lifestyle, environment, and biology” . 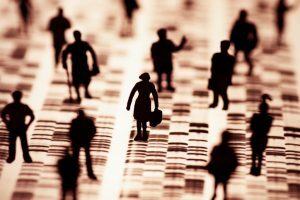 For example, next generation sequencing (NGS)-based genomic tests can help scientists and doctors develop personalized treatments that account for the specific genetic variations of each individual. How Does This Data Help Scientists? All of Us will provide scientists with long-term medical histories, blood samples, lifestyle descriptions, and physical measurements of a million participants . By analyzing these sources of data together on a large scale, scientists hope to identify new correlations that were missed due to the relatively small sample sizes of many previous studies. For example, scientists may be able to combine lifestyle, genetic, and environmental factors to determine how these influence the risk of certain diseases. In addition, the PMI hopes to gather data from populations that are often underrepresented in medical and public health research. With this new source of data, even small research teams will have access to health-related information from a diverse participant pool that was difficult to gather before. 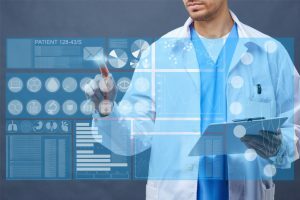 What scientific opportunities resulting from the availability of data provided by All of Us do you believe will have the biggest impact on healthcare in the next decade?